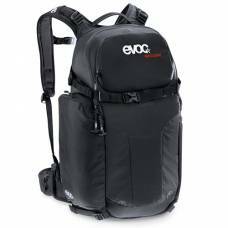 Evoc camera backpacks make professional sports photography easy. The dedicated compartments (and pockets!) with adjustable padding allows you to organise your gear for easy access. 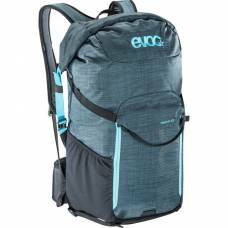 In addition to the back support, these backpacks are designed with comfort in mind from extremely sturdy yet flexible Airo Flex material to Neutralite Systems that allow you to carry heavy loads without feeling fatigued. 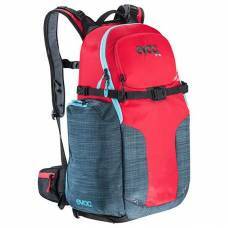 The well-padded shoulder straps with wide neck cut-out help keep the backpack in place at all times, preventing it from slipping even during action-loaded maneuvers. At the same time, useful gaps and aeration channels ensure optimal ventilation across the entire back. In a nutshell, the bag absorbs and displaces weight neutrally, keeping you fresh for longer. 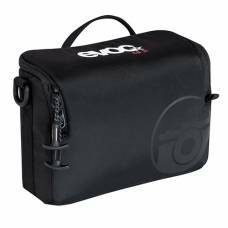 Evoc camera block inserts can either fit into ordinary travel bags or act as a separate bag thanks to the attachments rings which fasten easily to the Evoc Camera Shoulder Strap Pro. 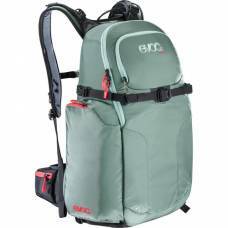 So, whether you are looking for an Evoc bike bag, Evoc mtb packs or simply Evoc backpacks for sale in South Africa, you have come to the right place! 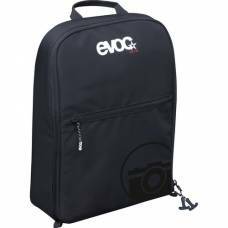 Buy an Evoc backpack from our secure online shop. Keep your camera equipment and accessories safely organised with padded partitionings. Keep hydrated while protecting your gear and personal items. 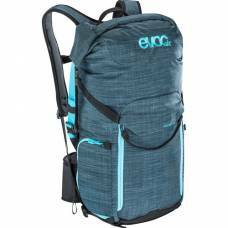 This camera backpack is padded, practical and lightweight. Includes a removable rain cover.